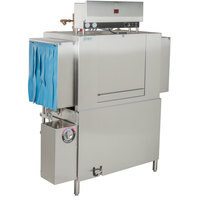 Clean rack after rack of dishes with the Noble Warewashing 44 conveyor low temperature dishwasher. 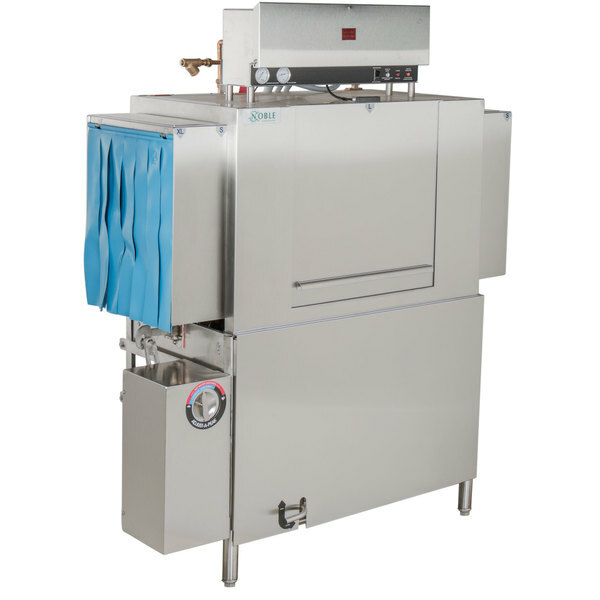 This low temperature left to right conveyor dishwasher makes short work of cleaning even the dirtiest of dishes in your commercial kitchen! 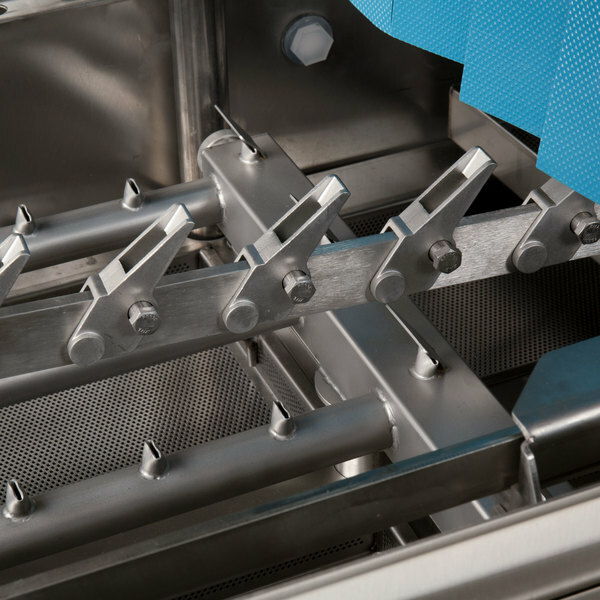 With the ability to power through 209 racks per hour, this machine keeps up with high demand while ensuring the efficiency you rely on during peak hours of service. 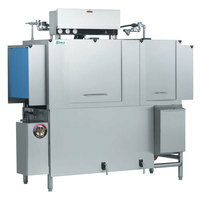 This particular unit operates from left to right and requires a 230V, 3 phase electrical connection. 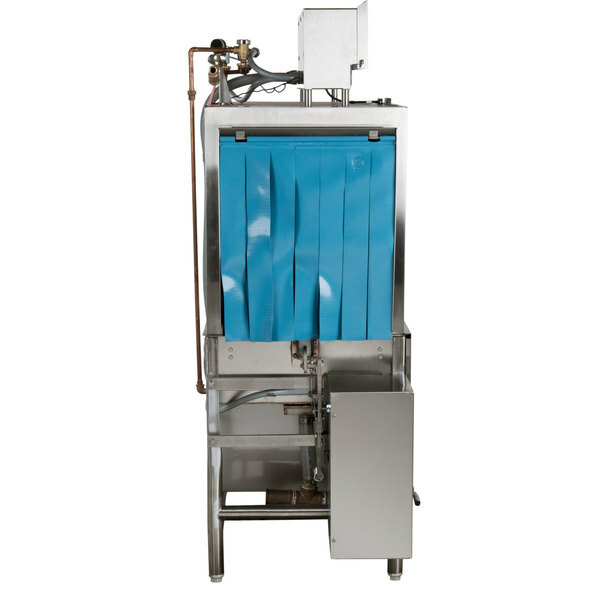 Since each rack requires only 0.78 gallons of water, this machine helps to efficiently reduce your water bill. 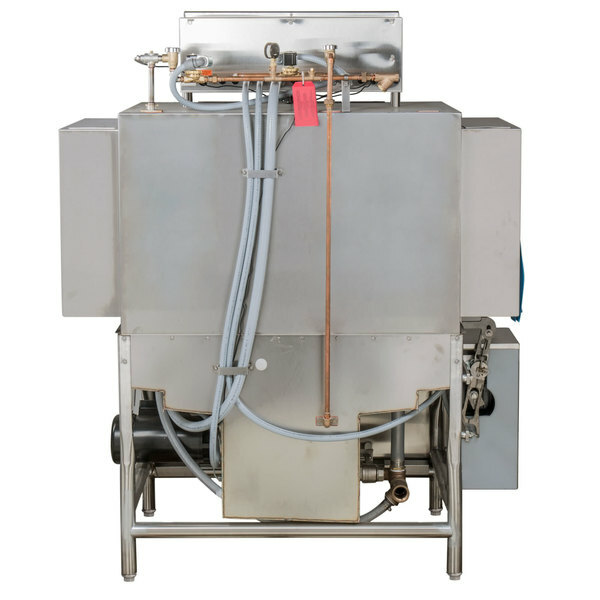 Plus, with exclusive EnergyGuard controls, this unit only operates when a rack is being washed or rinsed, which further saves on water and energy! 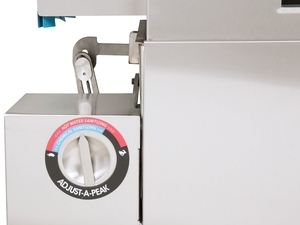 For heavy soil conditions, the Adjust-A-Peak adjustable conveyor speed allows the machine to extend wash time and rinse contact to ensure thorough rinsing. 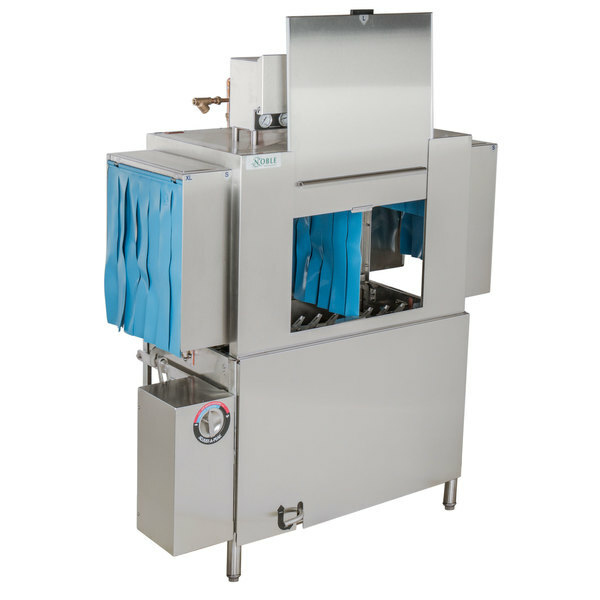 Featuring 25" of clearance, this dish machine accommodates large sheet pans, mixing bowls, and other food preparation and serving supplies. 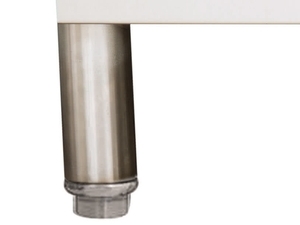 A self-draining stainless steel wash pump delivers maximum performance, eliminating wash water with ease. 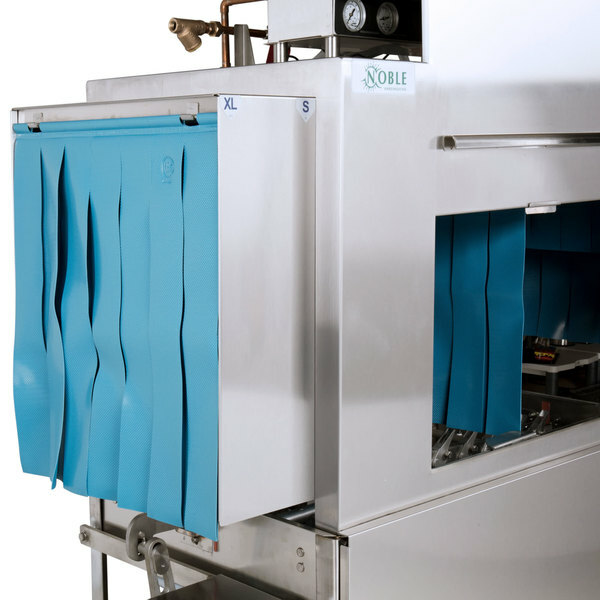 The unit features a sleek, durable stainless steel construction with built-in splash shields and a front dress panel to protect from potential hot water burns. 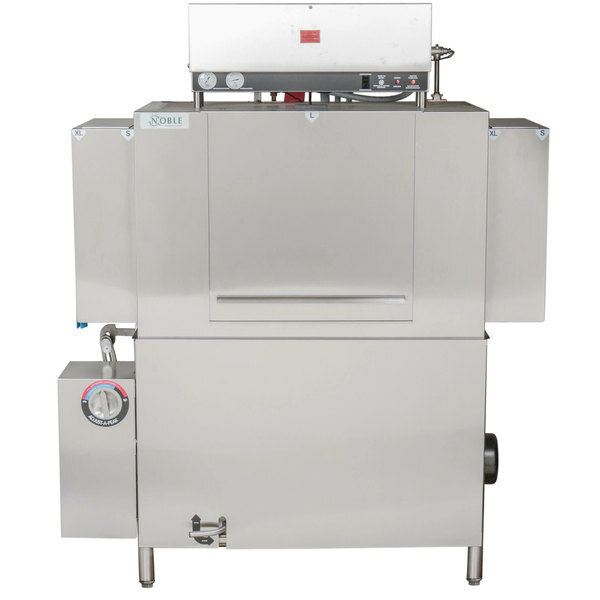 It also features an efficient 18kW wash tank heater to maintain the proper water temperature, and an exhaust vent fan control to keep the surrounding area cool and comfortable. This machine is fully automatic and includes auto-fill. 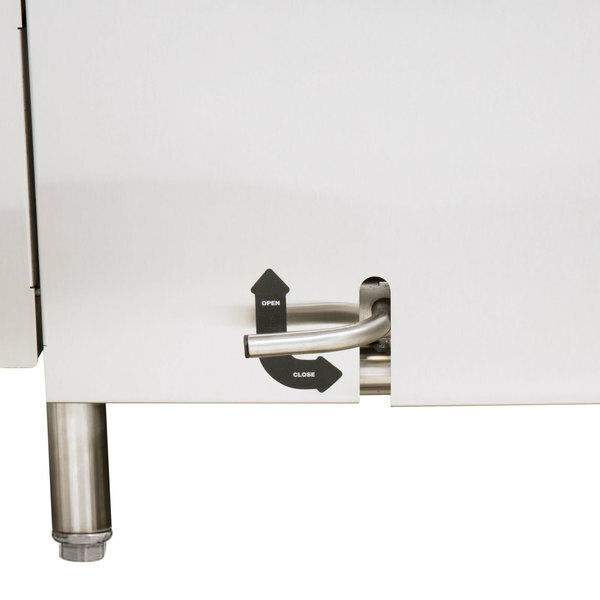 Adjustable bullet feet and legs keep the unit directly off the ground.